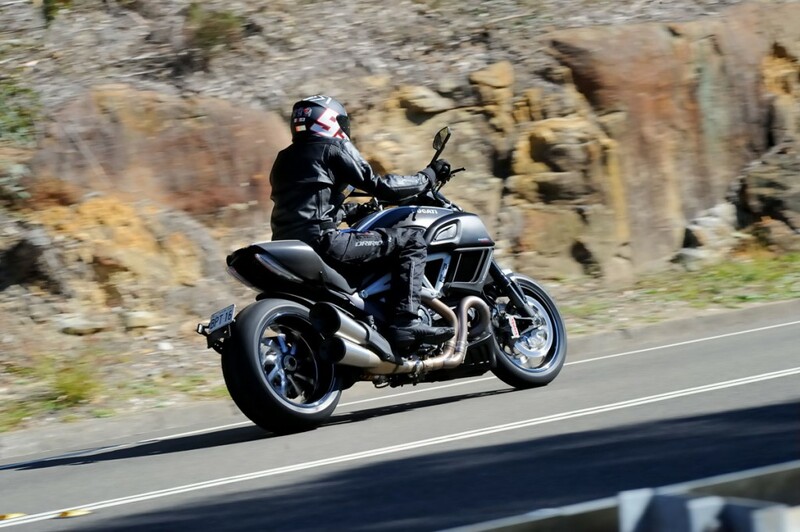 Ducati Diavel, the name says it all, meaning ‘Devil’ in the local Bolognese dialect where the iconic brand’s factory is located and adopted after an early onlooker to the project first saw the bike. The bike is a hulking beast and predominantly black, or in Carbon’s case – carbon-fibre, with the choice of either red or white detailing to accentuate a few of the bike’s features. 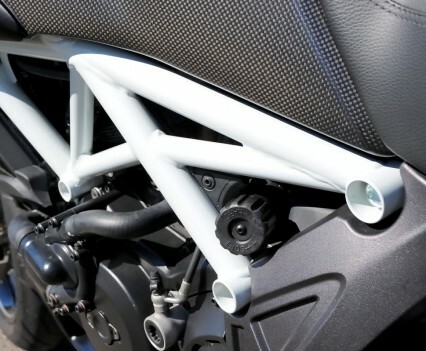 These include the traditional Ducati trellis frame as well as the carbon-fibre front guard, rear seat cowl and tank covers, with the colour applied to the latter three in the form of stickers, which I would assume many owners would quickly remove to allow the amazing carbon-fibre features to be fully appreciated. 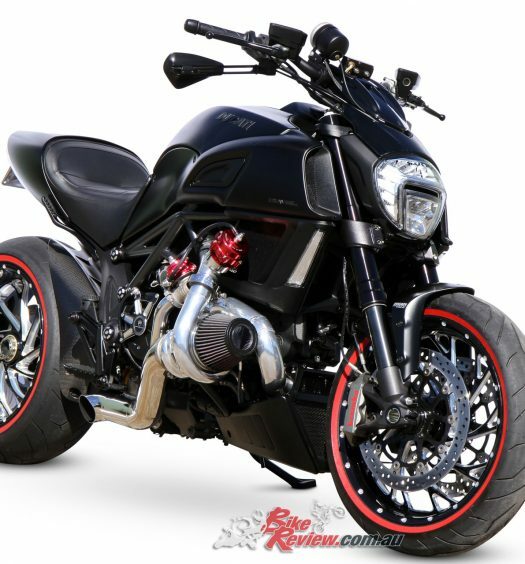 From the front the bike has a brooding heavyset presence, that would probably seem imbalanced if it wasn’t for the stunning 240-wide Marchesini forged and machined rear wheel, held by a single-sided swingarm and complemented by the twin mufflers and carbon-fibre seat cowl. The front meanwhile is dominated by the 50mm Marzocchi forks, a LED headlight, dual side-mounted radiators with air scoops framing the tank and wide bars for a laid back seating position on the bike. 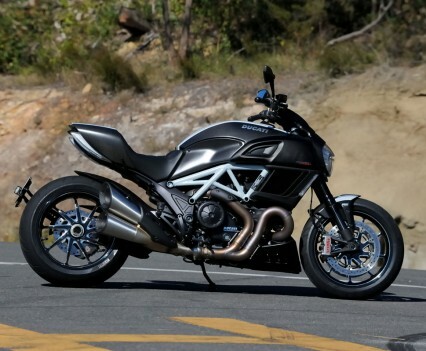 Naturally I’d heard about the Diavel prior to finally getting to test one but to be honest I had no idea what to expect. 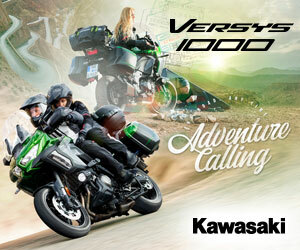 Rumour suggested eye-popping braking, astonishing performance and power and handling like nothing you would expect. Of course that could mean anything when you’re talking about a cruiser – what was the yard stick this was being compared against, after all? 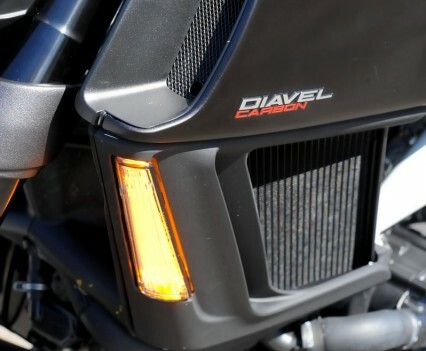 As it turns out the Diavel is very much to be compared against the industy’s finest offerings, bringing a package that really redefines the power cruiser, or sport cruiser segment. 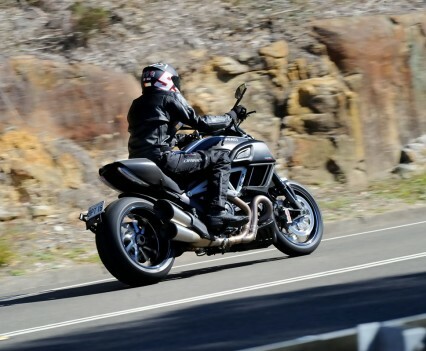 Providing a mix of performance, technology, handling and styling that is uncompromising, the Diavel is not just stunning to behold, it’s a joy to ride. 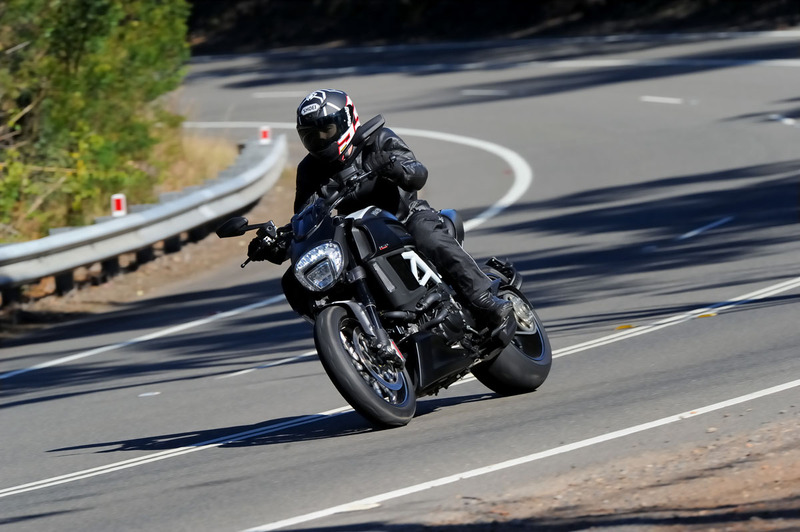 Picking up the bike from Fraser Motorcycles in Sydney and jumping on the bike the first impressions where favourable, with a low seat height providing a comfortable position on the bike whether you had both feet down, or up on the pegs, while the reach to the bar was typically wide. The overall position is relaxed and upright, with controls easily at hand, although the extra width of the bike when putting your feet down outside the foot controls is noticeable. 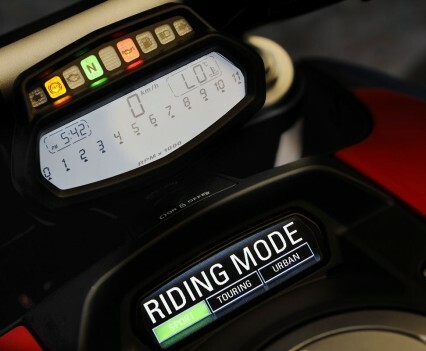 The LCD upper display has your regular running information including the idiot lights, while the lower TFT display allows choosing and modifying your mode settings. The top display was visible while riding, with the lower display needing a glance down, while the lit mode which comes on in low ambient light was extremely bright, which at night could become distracting due to the amount of light thrown up into the rider’s visor. On the move it was mid-morning on a cold but clear day and traffic was still heavy from the morning rush, although I was to catch the tail end of the school zones on the beginning of the ride. Pulling out from Fraser Motorcycles and onto the M4 the first thing that surprised me was the torque available right from down low in first gear as the bike sprang forward, quickly reaching the speed limit and flashing past the morning commuters who were still trying to find second gear. Set in touring mode the bike was hauling arse the minute it was moving and feeling extremely nimble, considering the bike’s wet weight of 234kg and wide rear wheel. 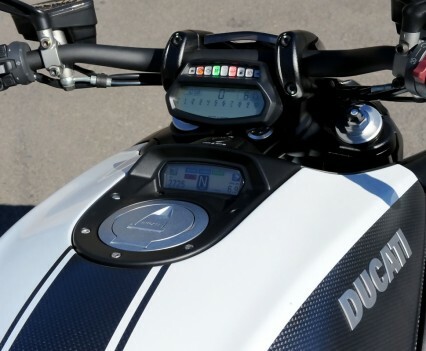 Prior to setting off I’d had a quick flick through the modes provided by as standard by Ducati, picking Touring for the 162hp, low-down power mode with an intermediate traction control setting. 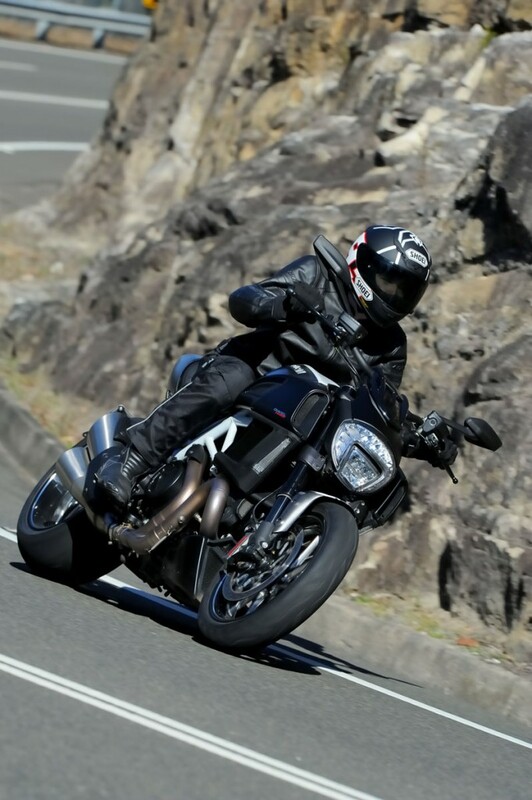 By the time I hit Cumberland highway I’d accustomed myself to the bike’s power delivery for general road riding and hitting school zones was dreading how the bike would handle sitting at 40km/h in traffic. As it turns out I needn’t have worried with second gear providing the perfect cruising speed for the relatively clear run. 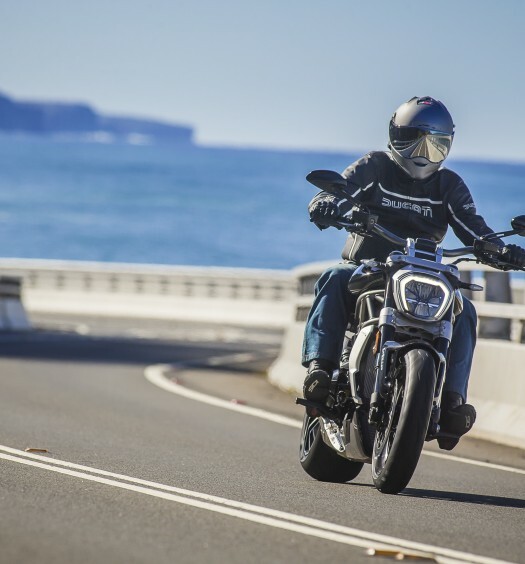 The engine powering the Diavel is a real gem in this regard with your general riding whether it be in sport, urban or touring mode being made easy with plenty of low down torque and a nice progressive power curve. Right down low the engine feels a little lumpy if you lug it but once you’re moving at any reasonable speed the twin quickly smooths out with exceptional pull and power. Pushing past the 6000rpm mark however the engine is really rewarding as you get into the meat of both the torque and power, particularly on the open road where you can open the throttle and take advantage of all the performance on tap. 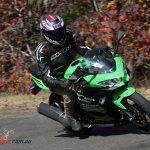 All that torque also tends to send you backwards in the seat when you roll the throttle on aggressively and the bike’s aerodynamically designed front end funnels wind up into your face, which above 110km/h can really place strain on your neck if you’re riding for long periods. In Urban mode you get the advantage of better low down power, while you miss out on the seemingly endless (for the road at least) power that both Sport and Touring providing, with Sport having a clear advantage in riding aggressively and making the most of both the engine and RbW system. In combination with the engine though, the chassis and geometry of the bike combine, despite the massive rear wheel and tyre to provide an agile and well handling ride that really belies the bike’s cruiser based theme. Ground clearance is generous, with plenty of lean angle available without dragging pegs, while the main noticeable trait from the massive rear tyre is the bike needing a bit of muscling to get leant over particularly for the much tighter stuff. The 50mm Marzocchi fully adjustable forks and Sachs monoshock both combine to provide a stable and predictable ride, with the settings left stock and only the slightest rear squat under really heavy acceleration noticeable, while the front forks were flawless in their performance. Traction is also great thanks to the Pirelli Rosso II tyres, with the slipper clutch providing a fall back when aggressively downshifting or using engine braking to wash off speed. 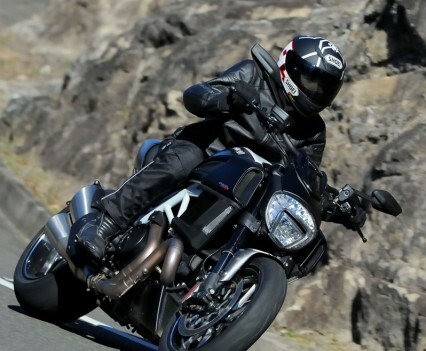 As impressive as the performance and handling is however, the Brembo brakes are even more so, with the dual radial monobloc front calipers sporting amazing bite and stopping power that brought the Diavel to a halt both quickly and without the bike’s handling getting out of shape even in the least. The rear Brembo two-piston caliper also proved ideal for controlling lower speeds and cornering in the ‘burbs, with the package backed up by ABS – something I didn’t need to take advantage of during the week of testing. The strength and control provided by the brakes certainly earns the eye popping reports. 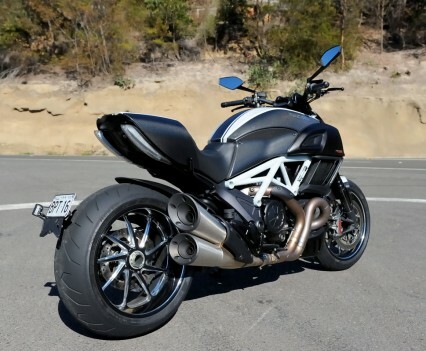 Overall the Diavel is a motorcycle that could easily replace a superbike for someone looking for a more well-rounded bike capable of touring, even two up, while still maintaining a the performance you would expect as well as with styling and custom-bike quality. 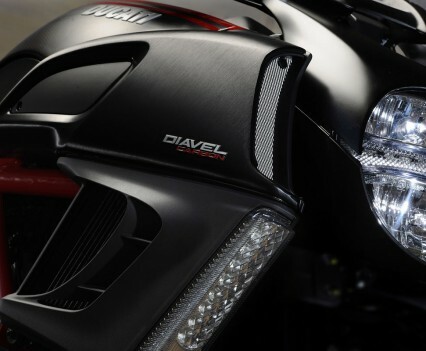 The Diavel makes use of a traditional Ducati trellis frame of light gauge tubing with lateral die-cast aluminium sections that join a techno-polymer component to form the rear structure. 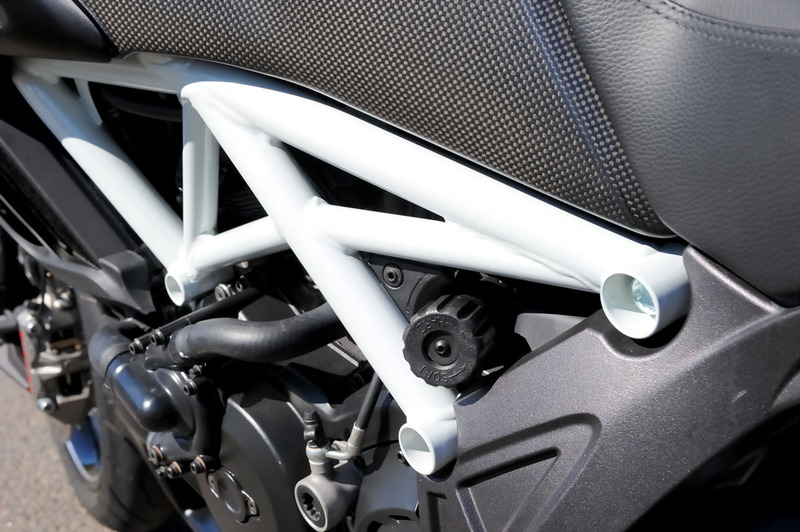 The single-sided swingarm is a die-cast affair made of aluminium and creates a wheelbase of 1590mm, providing good rear end feel and stability, with lean angles of up to 41 possible. 50mm Marzocchi front forks with a DLC coating are fully adjustable with a slash cut triple clamp comprising of a cast aluminium lower and forged upper, while the ‘bar risers are rubber mounted to reduce vibrations through to the ‘bars.Rake is 28 with a trail of 130mm and 70 of steering lock available. The Carbon also benefits from lighter, nine-spoke forged Marchesini wheels, with a 3.50 x 17in front and 8.00 x 17in rear and the rear suspension is a Sachs fully adjustable monoshock with a progressive linkage. The tyres are Pirelli Rosso IIs in 120/70-17 and 240/45-17. Braking is taken care of by Brembo four-piston Monobloc radial calipers with dual 320mm semi-floating rotors and a rear two-piston floating caliper with 265mm rotor. 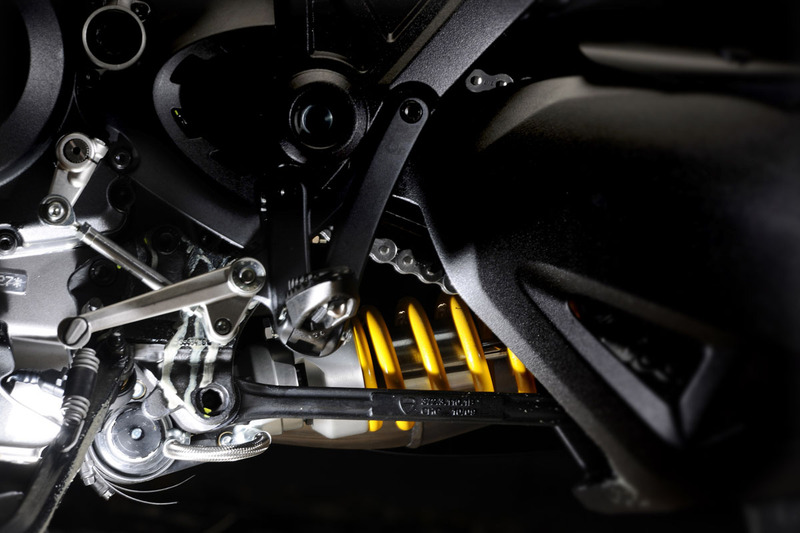 A Ducati Bosch-Brembo ABS system is standard. The rotor carriers are also milled aluminium with natural aluminium recesses and a black finish to match the rest of the bike. 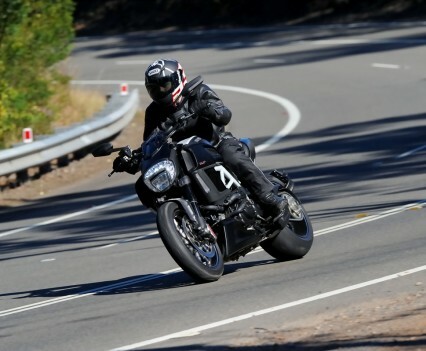 The Ducati Diavel Carbon makes use of the latest electrickery from Ducati, including ABS, Ducati Traction Control, Ride-by-Wire and Ducati Riding Modes. 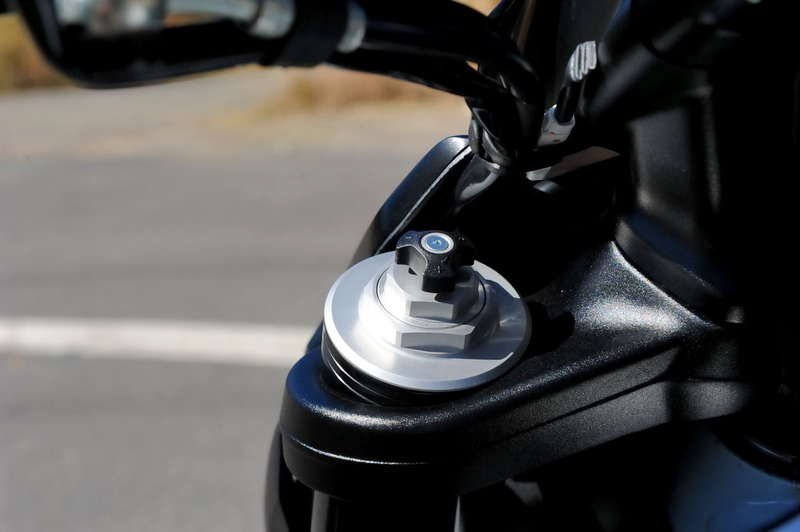 The ABS is provided by a Bosch unit combined with Brembo brakes while the Ducati Riding Modes allow the rider to toggle through three preset maps/setting groups from the ‘bar controls, with the lower TFT displaying the current settings. Sport, Touring and Urban are the three options, with Sport providing full power sportsbike-like delivery, Touring also taking advantage of the full 162hp and a more progressive power delivery, while Urban is limited to 100hp and power delivery more suited to busy city streets with a bit more grunt right down low. 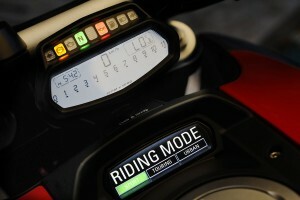 The DTC is also automatically set according to your riding mode, although this can be modified via the ‘bar controls. The Ride-by-Wire can likewise be set for each mode and controls power delivery. 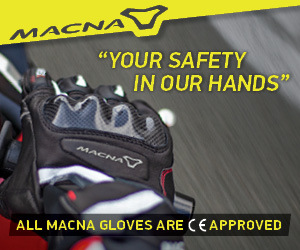 Changing modes can be done at the lights quite easily, although making changes to your riding mode settings is probably best done off the road. Urban mode is perfect for fanging around at low speeds, particularly in traffic heavy or otherwise, while Touring is great for just cruising on the highway or general riding. 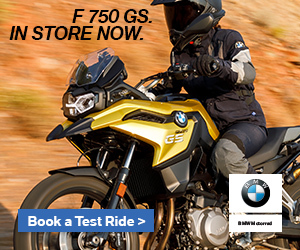 Sports mode provides the most fun out on the open road however with more instantaneous throttle reaction and power delivery. 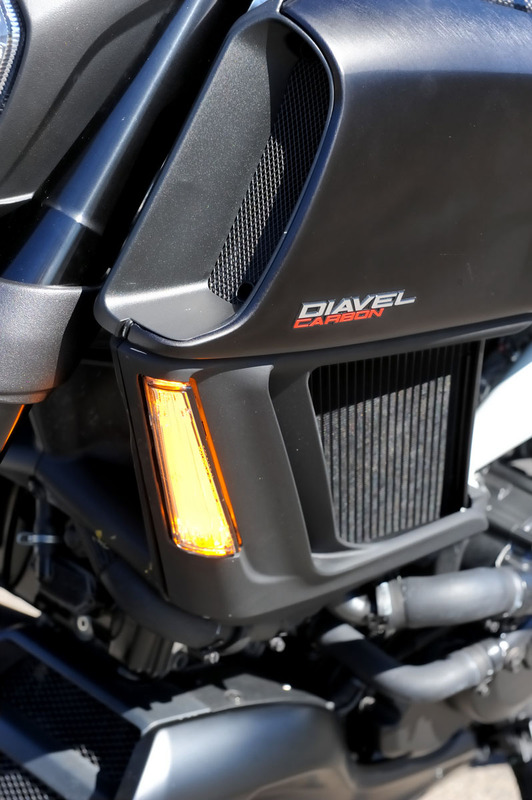 The LED lights are also nice kit, although the front light tends to spread light a bit wide rather than further down the road, while the indicators are very integrated and highly visible and the rear brake lights instantly recognisable as a Diavel. 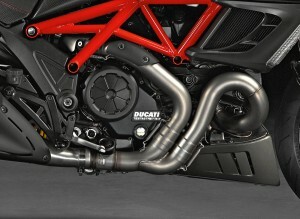 Powering the Ducati Diavel is the Testrastretta 11L-twin Desmodromic Dual Spark engine, which has been specially refined with cam timing that gives it the 11 valve overlap angle for smoother and more linear power, while maintaining the superbike power and providing a greater range of usable torque for ridability. Power maxes out at 162hp with an extremely linear power curve, with power tapering off just after the 9000rpm mark, while torque tapers off earlier at 8000rpm with 94ft-lbs and coming on extremely strong right from cracking the throttle. 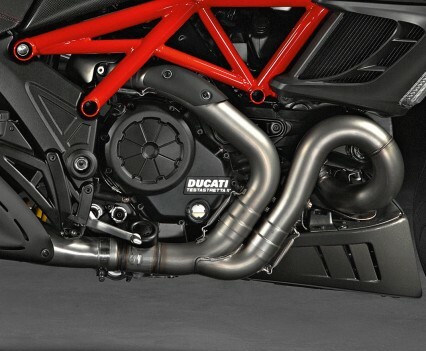 The 1198cc engine has a bore and stroke of 106 x 67.9mm, the same as the Ducati 1198, however with 11.5:1 compression compared to the 12.7:1 found on the superbike. The Dual Spark ensures a complete and efficient burn, with Mikuni elliptical throttle bodies providing the fuel and power delivery controlled by the RbW system. 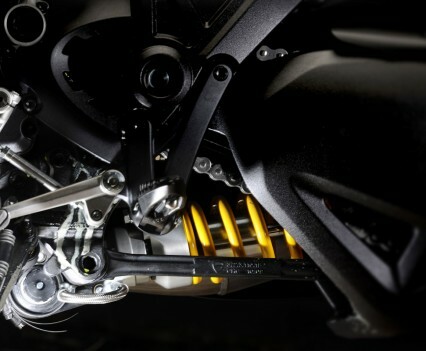 A progressive self-servo mechanism presses the plates together on drive and allows a lighter clutch action, while an over-run mechanism provides a slipper clutch effect ensuring that downshifting aggressively doesn’t send the rear end out of shape. The exhaust system is a 58mm section two-into-one-into-two system including a mid-valve to control pressure through the rev range with equal length pipes for efficiency, complete with lambda probes in each header. Cooling is assisted by twin side-mounted radiators, while a new 64mm water pump impeller provides additional flow at high rpm. 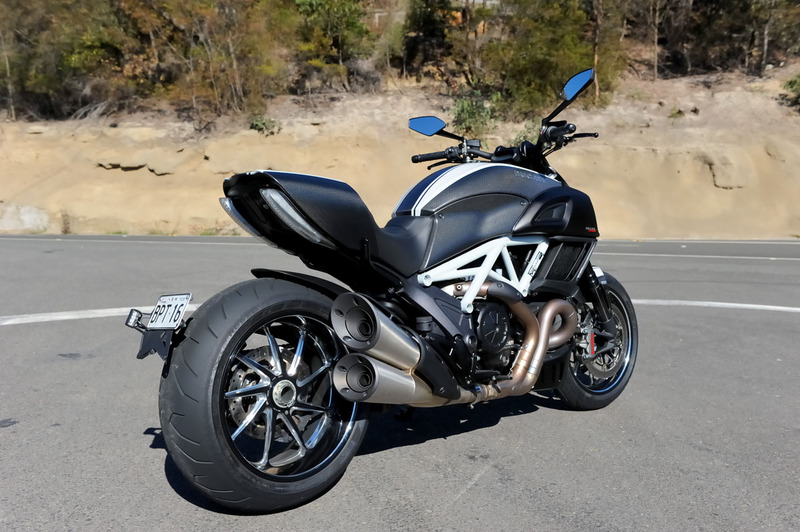 Everything about the Ducati Diavel Carbon is a statement in style, from the Marchesini forged wheels through to the plethora of carbon-fibre components. Normally hearing about ‘custom shop beauty’ on a factory bike it’s a dubious claim. 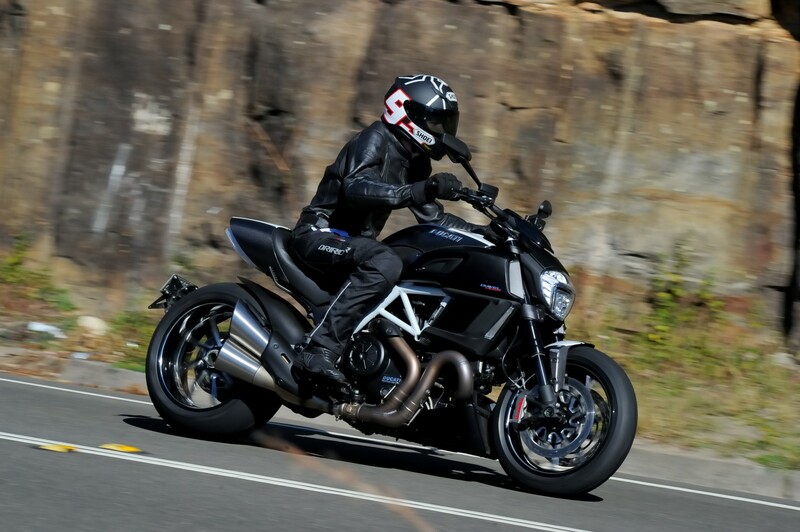 On the Diavel Carbon it’s just a fact. The standard bike already benefits from LED lighting, aggressive air intakes in front of the tank with dual side-mounted radiators, a frontal area dominated by the massive headlight and the stunning trellis frame and sinuous exhaust system, capped off by two stainless steel pipes. This is taken to a whole new level on the Carbon, with the carbon-fibre tank panels, guards and seat cowl providing extensive areas of the much sought after material. 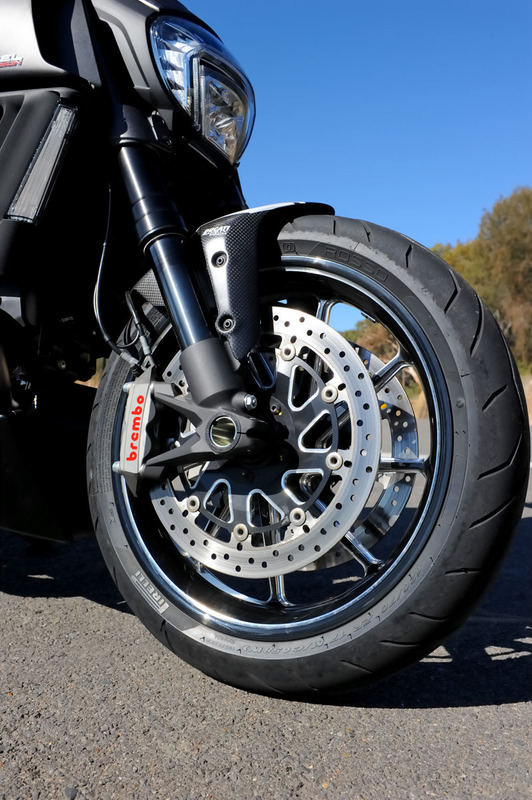 The regular 14-spoke wheels have also been swapped for lighter Marchesini nine-spoke wheels, retaining the 240-wide profile on the rear for a really mean and wide rear end, taking advantage of the single sided swingarm to full effect. 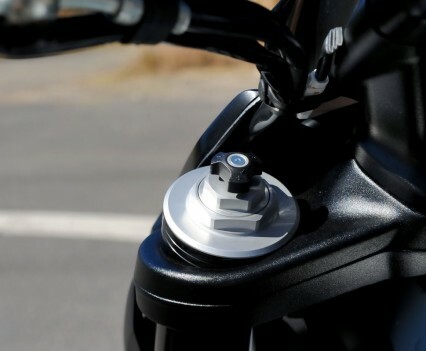 The seat cowl is also removable with the tool kit under the seat, while the pillion pegs can be extended out and a rear grab rail extended from below the seat to ensure a pillion is comfortable and doesn’t fall off the back the first time you open the throttle. 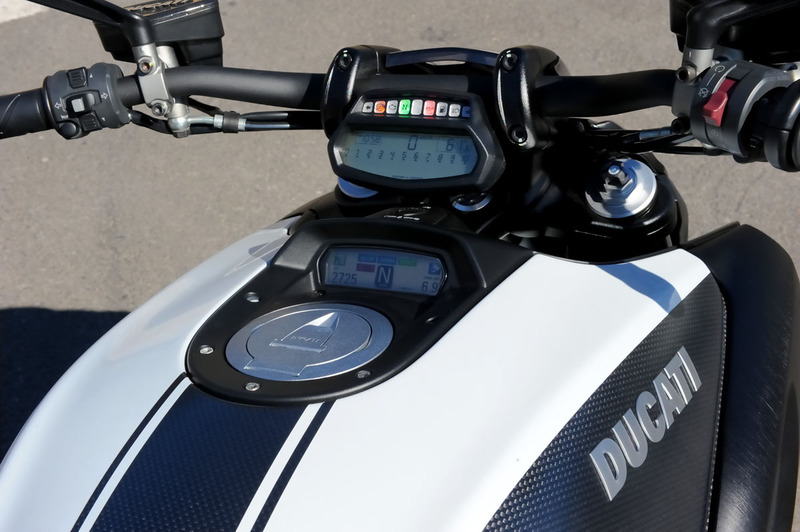 Other small details of note include the brake and clutch master-cylinders which include the reservoirs with milled top plates displaying the Ducati logo, an LCD upper and TFT lower displays and the red or white striping on the carbon-fibre being stickers above the clear coat and therefore removable. 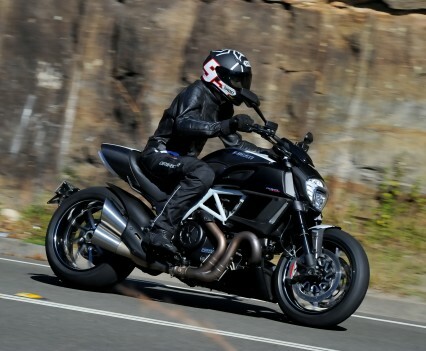 The Diavel’s styling is uniquely aggressive and typically Ducati. 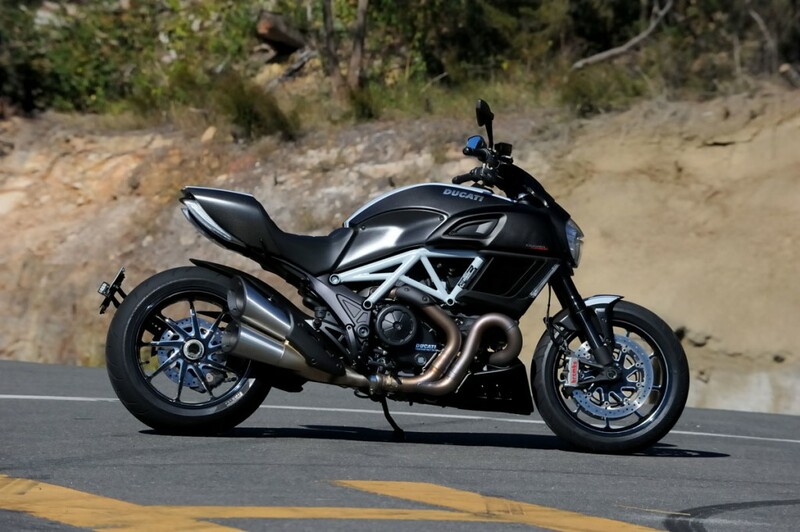 The Diavel is powered by the Testrastretta 11L-twin Desmodromic Dual Spark engine. 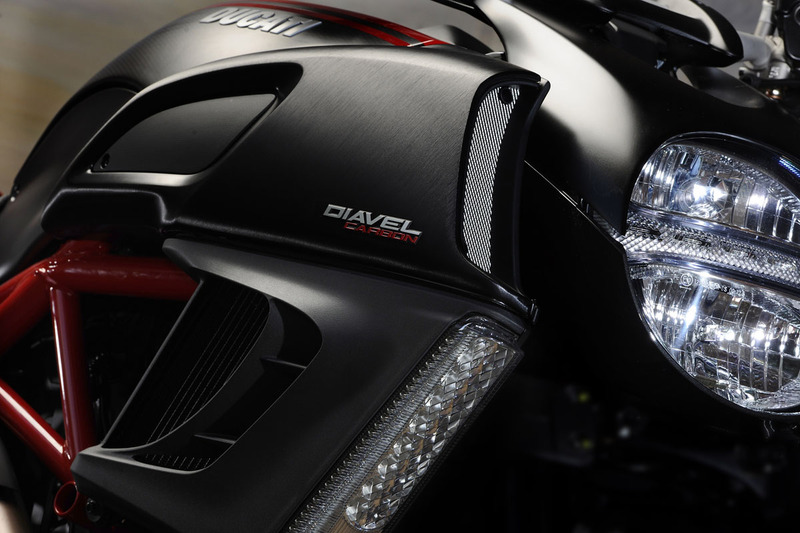 The Diavel features riding modes, traction control, ABS and RbW. 50mm Marzocchi DLC-coated, fully adjustable USD forks. Dual four-piston Brembo Monobloc radial calipers and 320mm semi-floating rotors. 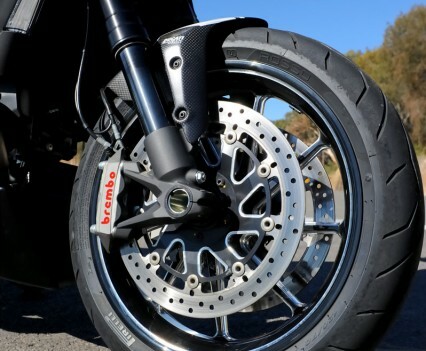 A single-sided swingarm shows off the Marchesini forged and machined nine-spoke wheel. Fully adjustable Sachs monoshock with progressive linkage.